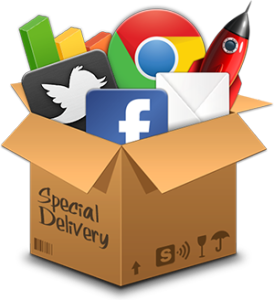 Digital marketing is a powerful tool that can realise a return on investment (ROI) considered unthinkable only a few years ago. In this short course you will learn how to develop your digital marketing strategy and then how to leverage digital tools to realise your marketing goals. The course is free to undertake. Find out more in this free short course. The aim of the short course is to give you a ‘taster’ of what it is like to undertake postgraduate study via Online Education with Charles Sturt University. The short course is based on the first few weeks of subject MKT525 Digital Marketing which is available in a number of Postgraduate qualifications at Charles Sturt University. This course was developed by Andrew Mashman, who is an Adjunct Lecturer in Marketing at Charles Sturt University. He specialises in facilitating information transfer and learning among stakeholders, and receives very good feedback on his ability to decode theory into practical, usable knowledge. Andrew’s educational qualifications include a Bachelor of Business (Marketing) and Master of Business (Management). He also has over 20 years commercial marketing experience in the commercial marketing where he specialised in designing, developing and launching products and services with a obsession for engaging customers and stakeholders. In 2000, Andrew established Liberated Vision, a company that specialises in consulting and training around Marketing, Marketing Planning and Project Management challenges for all types of business – NFP, Government and Commercial.